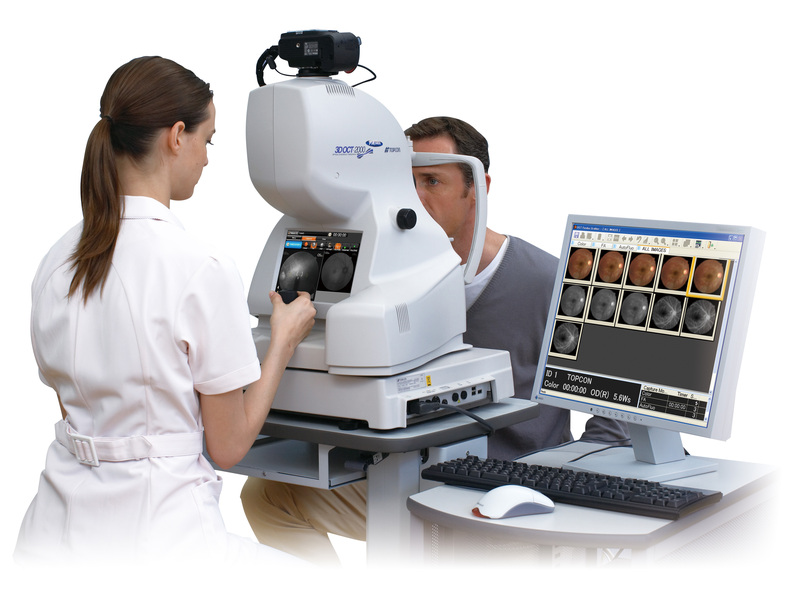 Ocular Coherence Tomography provides a digital 3D cross sectional scan and photograph of the back of the eye in one sitting, recommended every 2 years. 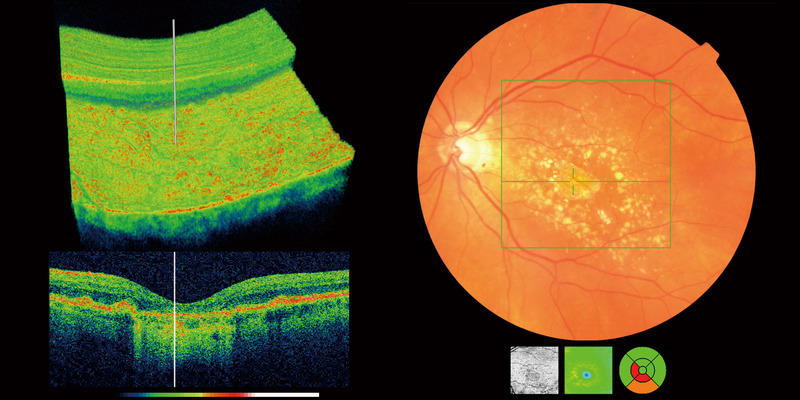 The 3D scan analyses the structure within the retina and optic disc. A photo gives a snap shot of the surface of the retina only and this will be taken at the same time. The scan is non-invasive, painless, simple and quick. The image is stored on our computer so we can monitor any changes that may take place between OCT examinations giving an ongoing record of your health. There is an additional charge for the OCT scan, but the benefits are clear and can give peace of mind.